PS3 vs Xbox 360 Review Score Comparison.. The bold games are exclusive to that console. 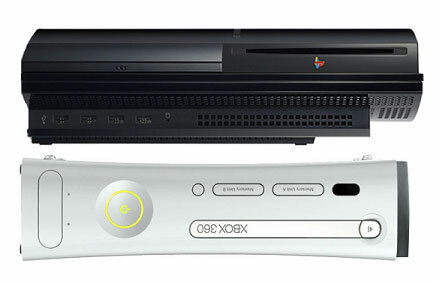 Xbox 360 has 7.8 times as many 8/10 games exclusive to their console. Also, NBA Street Homecourt and Tiger Woods PGA Tour 2007 are the only ports that rank higher on the PS3 and are above scores of 8/10. Does this, for now, prove that Xbox 360 has better games than PS3 at this point? Also, will the PS3 be able to catch up and then keep up in the coming years? There's a long way to go, but for now, the claims that PS3 doesn't have many good games... is true. Ratings taken from MetaCritic.com. To be in the top scores for each console, each game had to have at least 5 ratings from seperate sites.